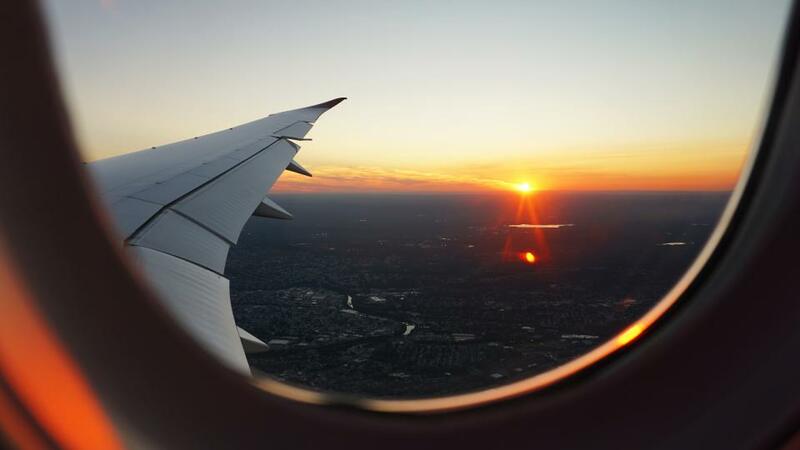 Whether you are traveling for work or leisure, airplane flights can be stressful and tiring. Trading a bed for an airline seat is tantamount to misery. Enduring uncomfortable seats and crying babies can leave travelers sleep deprived, leading to puffy eyes, dull skin, and a feeling of lethargy. Here are ten simple remedies to help you get through your next red-eye flight experience well-rested and functional. Face masks are great for skin recovery. Super thin coconut gel sheet masks are a popular choice for frequent travelers because they can be applied and removed easily from your plane seat. This coconut gel mask medley has 3 different masks that combine the power of Echinacea GreenEnvy™ with celery, purple broccoli or rhubarb extracts to help brighten up tired skin, repair fine lines, and minimize fatigue. The extracts help combat free radicals and inflammation while nourishing the skin. Coconut has hydrating properties, which is a godsend during a long flight. The masks in the New Dawn set help moisturize your skin, leaving it dewy and youthful. If you are on a long-haul flight, you will need a restful night’s sleep so you arrive ready to hit the ground running. A simple pair of drugstore earplugs can help to reduce the cacophony of airplane noises. If you have the budget and travel frequently consider purchasing noise-canceling headphones for an even better night’s rest. Flying overnight can make your ankles swell and give you tired, puffy eyes. Try to walk about the airplane as often as possible to reduce water retention and swollen ankles. An eye cream is the best solution for tired eyes. The added moisture will stimulate your tear ducts and refresh your eyes. 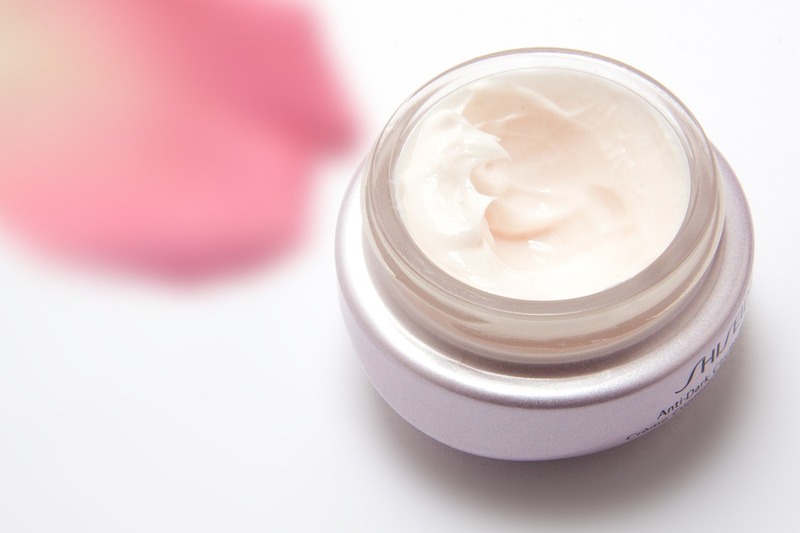 On an airplane, where your skin may feel parched, a cream that can reduce inflammation and restore moisture will instantly make you feel refreshed. If you left your eye cream at home, ask the flight attendant for some tea bags, soak them in warm water, and apply them on your eyelids. The caffeine can instantly reduce inflammation and redness, leaving you refreshed. Drink plenty of water before and during your flight. Pack an empty water bottle in your carry on. Ideally, you should drink eight ounces every hour. Although a few gin and tonics may seem tempting, avoid alcohol, which causes dehydration. The combination of alcohol and the stale airplane atmosphere will undoubtedly wreak havoc on your complexion and leave you feeling lethargic. But if you need to unwind with a glass of wine, eight ounces of water should counteract its dehydrating effects. Search for healthy food options at the airport, and avoid salt during your flight which results in water retention. Most airline meals are rich in sodium, causing bloating. This will likely lead to unpleasant effects on your face and eyes, and you will feel less rested. If you’re wary of airport food, pack some TSA friendly snacks and meals to go. These homemade snacks are nutritious and tasty as well. The roasted chickpeas and dark chocolate trail mix energy bites are sure to boost your mood on a long flight. Loose, comfortable clothing is essential for a long flight. Ditch glamor for baggy sweatshirts and pajama pants instead. During travel, any added element of relaxation can mitigate anxiety. Review your carry-on and checked luggage the night before, and bring an extra set of clothes on the flight in case of spilled wine, lost luggage, or any other unexpected mishaps. Arrive at the airport early so you have ample time to check in, pass through airport security, and freshen up before your flight. If you can, get a window seat. It’s much more relaxing to sleep in a little corner nook than it is to cuddle up next to a stranger next to you. Research and invest in a pillow that matches your sleeping style. There are travel pillows on the market for just about every style of airplane napper. Try the Woollip, a unique pillow that lets you rest your arms, shoulders and head into just the right position so you can shut out the world. Bonus: if you’re traveling with a partner, it can sit between the two of you so you both can snooze comfortably. Wear an eye mask when you sleep to block out any ambient light. Lavender-infused masks can help you rest peacefully and soothe the senses. It’s impossible to sleep with chilly feet, so try these skin rejuvenating socks to keep your feet warm and supple. They are made with copper threads to keep your circulation moving - perfect when you want to binge on television shows during your journey. Prevent deep vein thrombosis by maintaining circulation in your lower limbs by wearing these socks or by taking short walks down the aisle. Wear layered clothing so you can adjust your body temperature throughout the flight. A lightweight shawl is a versatile garment that is terrific for travel. It can double as an extra blanket on a chilly flight. Flying is often stressful. Treat yourself with whatever keeps you calm - tabloid magazines, classical music, or podcasts like Sleep With Me, which is devoted to helping listeners sleep. It features soothing vocals, soft music and longstories - ideal for your next cross country flight. For the ultimate airplane indulgence, relax with Skin Dew hydrating essence mist and setting spray, pop a Deep Moisture or Soothing hydrating coconut gel mask on your face, and the rest of your travels will be smooth sailing.